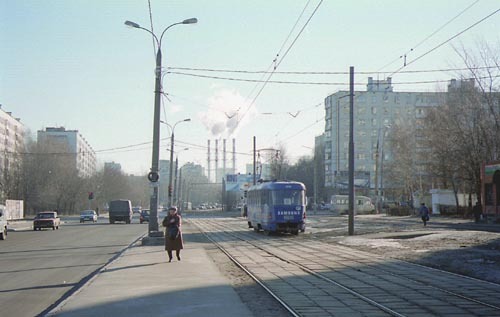 Panfilov Heroes Street makes up a part of the tramline put into service in 1969. 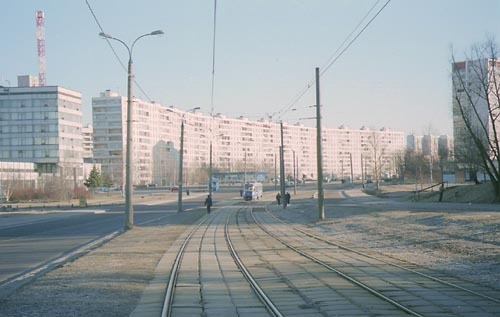 The line came into being simultaneously with the residential houses, apartments and research institutes relocated from the cramped spaces in the central Moscow, and plays the major role in local transportation to date linking the district with the nearest Metro station Skhodnenskaya, commercial and administrative locations. 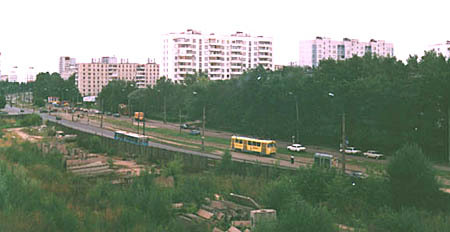 Panfilov Heroes Street has been planned as an arc connecting two ends of a straight Jan Rainis Boulevard. 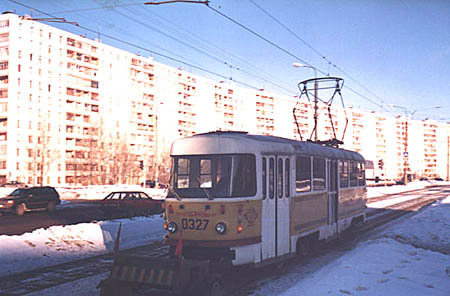 A rail-grinder servic tram #0327 of Krasnopresnenskoye Depot at work in Panfilov Heroes Street. The landscape of this street is very common for many outer districts of many Russian and not only Russian cities. Another overview of Panfilov Heroes Street from a window.